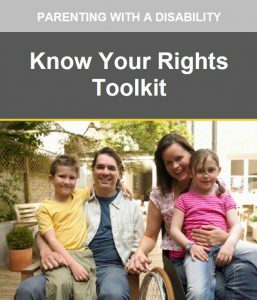 The Parents with Disabilities Toolkit provides a summary of disability laws that protect families’ rights. Inside of the toolkit, you will find information on topics like adoption, custody, visitation, family law, and the child welfare system. It also shares stories from parents who have been treated unfairly because of their disabilities.